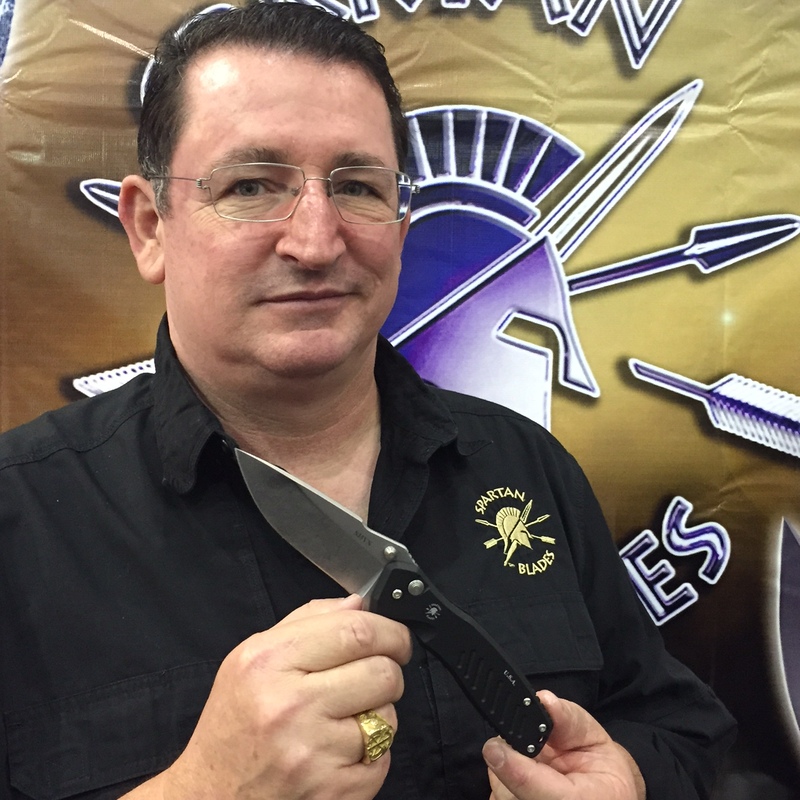 The Spartan Blades Pallas folding knife debut at the 2015 Blade Show to a strong reception. Proudly made by Spartan Blades in North Carolina U.S.A. 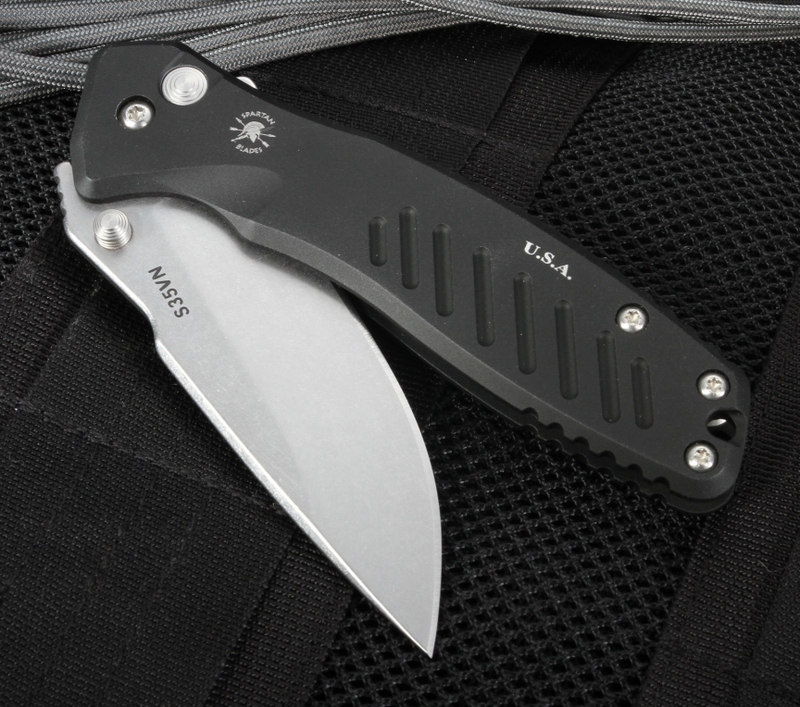 This new folding knife from the special forces operators at Spartan provides the user with a fast opening folding knife, with a secure button locking mechanism and stonewashed S35VN American-made steel with a hardness of 58-60 HRC. Pallas is named for the Titan, the Greek God of Warcraft. A key feature of this knife is the flipper extension on the blade combined with the dual stainless steel thumb studs and caged GTC Alpha bearing pivot. This bearing pivot allows the knife to operate with reduced friction and maximum speed. The dual stainless steel thumb studs also add to the positive grip you have on the thumb rest of the blade in the open position. The Spartan Pallas frame is ergonomically shaped hard anodized aluminum with a flat black mil-spec finish. 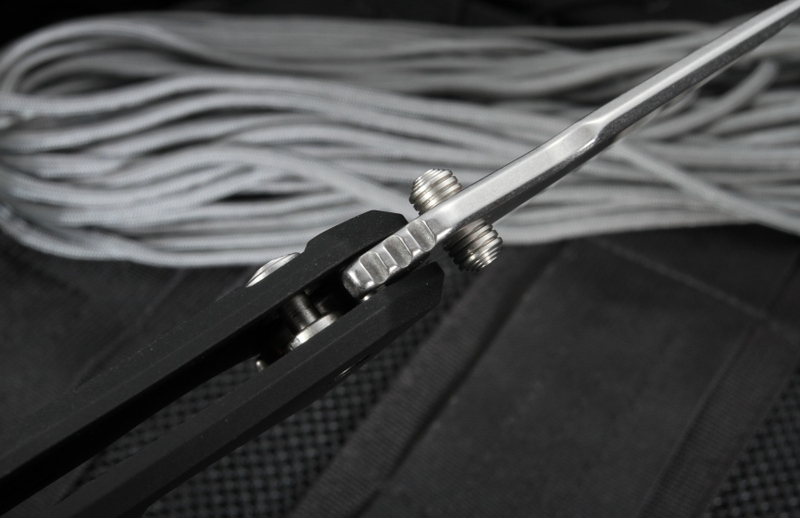 The frame of the aerospace grade aluminum is machine textured for a positive grip. The long sleek 3 3/4" drop point style blade of this Spartan Blades knife is stonewashed to provide a durable and attractive finish. 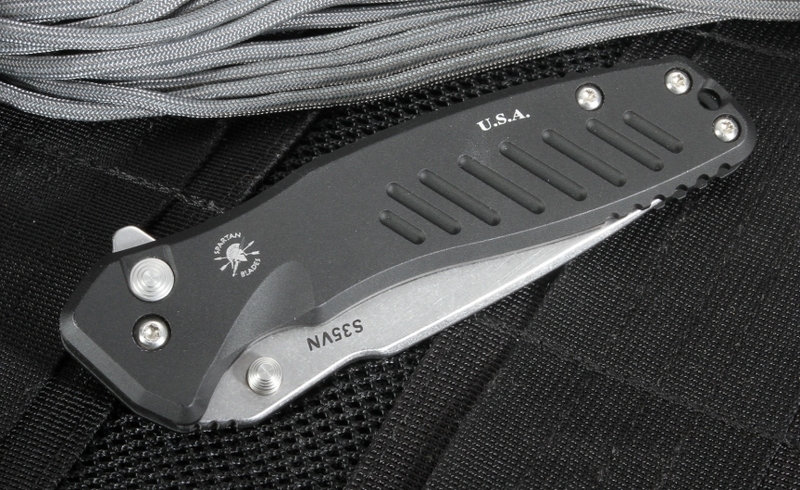 The titanium pocket clip is mounted for tip up carry for quick and easy one-handed operation. The outline of an arrow is cut out of the titanium clip. Lanyard hole in the handle. 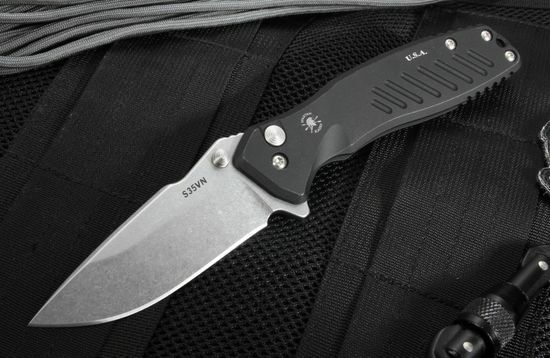 You can rest assured with this American-made folding knife, it comes with a lifetime warranty and the pedigree that you can count on from the moment it enters your hand. 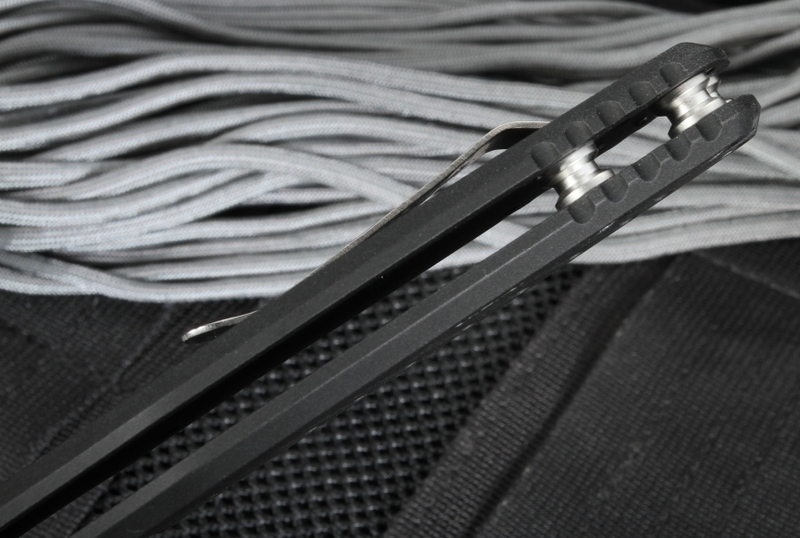 If you are looking to buy a Spartan blade, we will provide fast shipping and a satisfaction guarantee. KnifeArt.com is proud to represent Spartan Blades U.S.A.